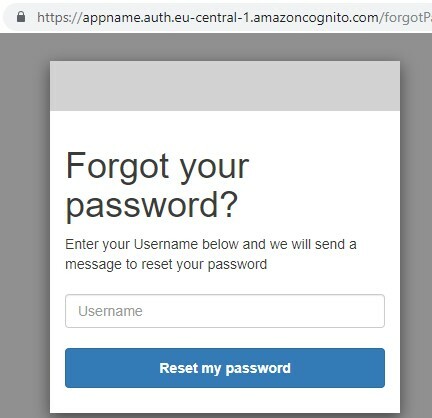 browser-sync start --server --files "*.html, stylesheets/*.css"
Create a domain name. 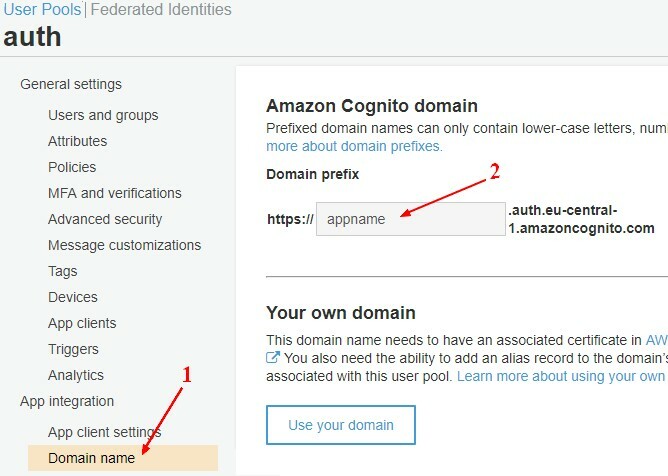 This will be the AppWebDomain property in the configuration. 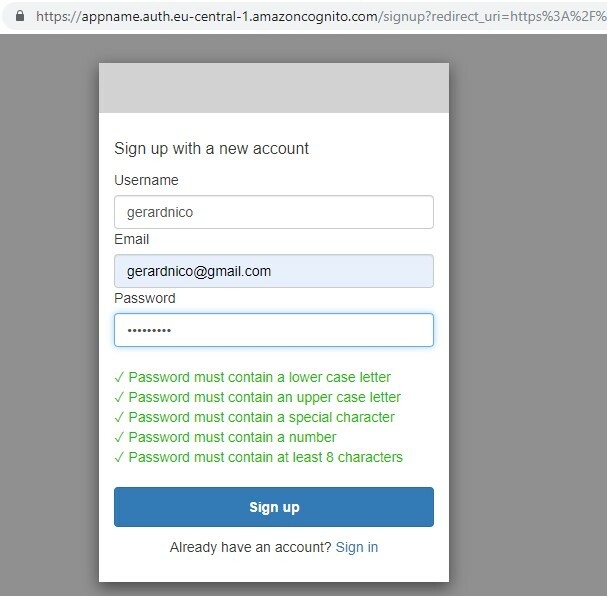 The auth forms will be served from this address. 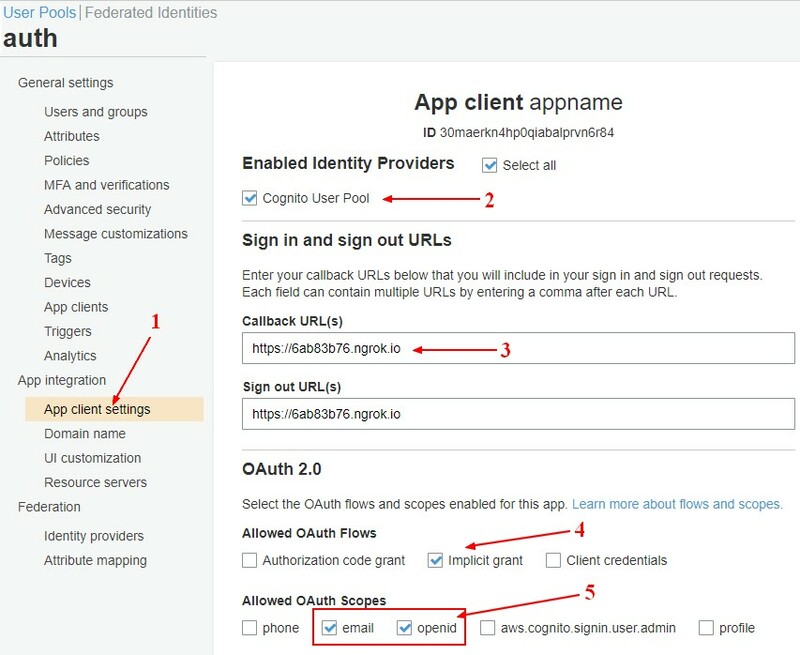 Modify the function initCognitoSDK inside the html page. 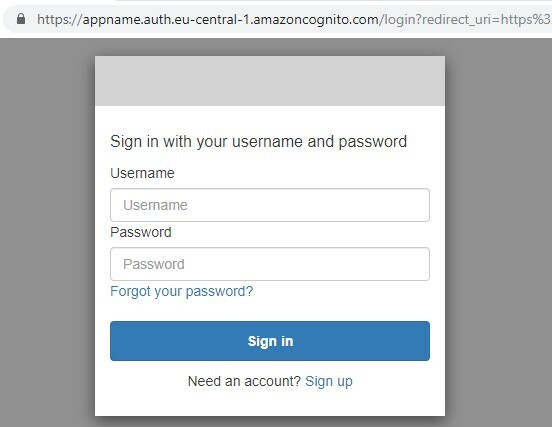 AppWebDomain : 'appname.auth.eu-central-1.amazoncognito.com', // Exclude the "https://" part. 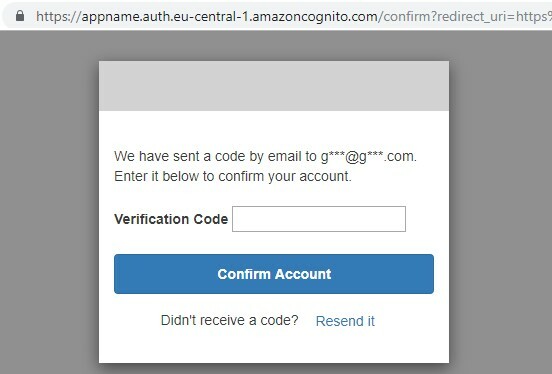 // The default response_type is "token", uncomment the next line will make it be "code". 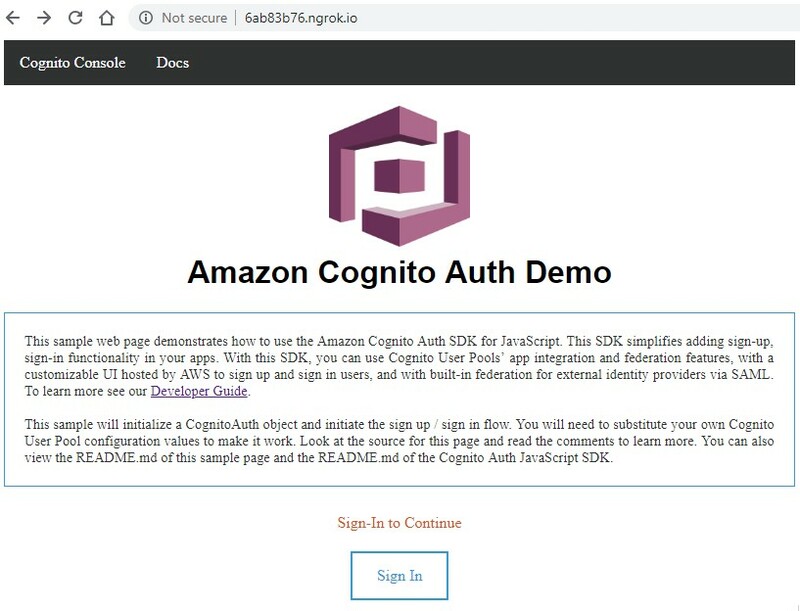 Aws Cognito - Sign-in with the auth library. 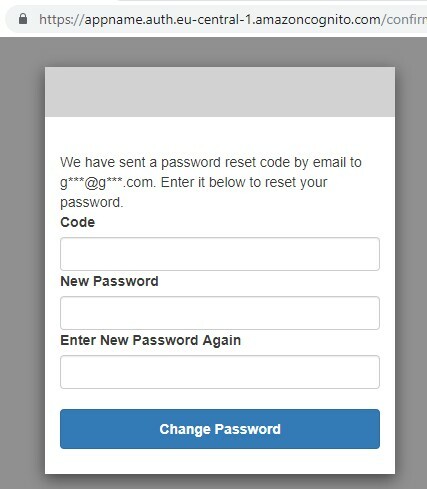 From the sign-in, you get a Password reset link.